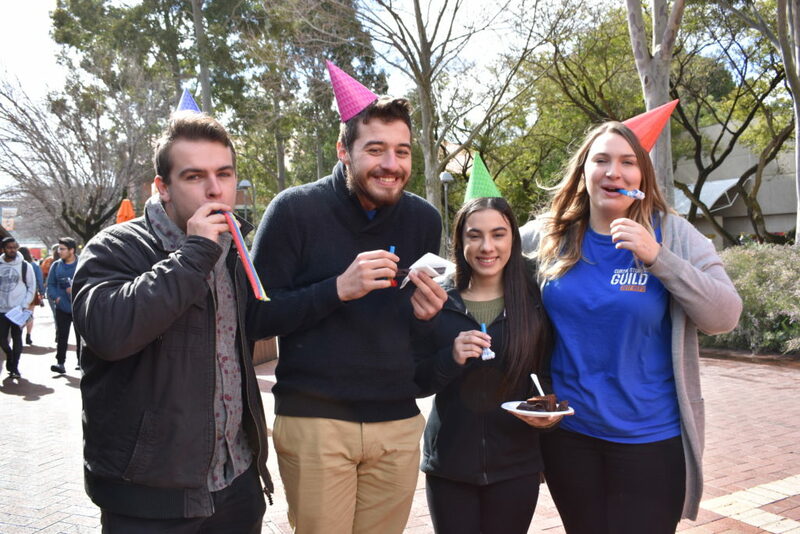 In recognition of 50 Years of Innovation at Curtin, the Student Guild recently celebrated by providing free cake to students. During common free time on Wednesday 9 August, 150 slices of the anniversary mud cake were served to passing students by Guild representatives including the Guild President, Liam O’Neil, Education Vice President, Jordan Piggott and Activities Vice President, Anna Griffin. The cake disappeared very quickly, and the afternoon was a great success! More photos from the event can be viewed at the 50 Years of Innovation photo gallery. Story written by Kyrstie Rankine.